Firenze by Orsitalia: the large square coffee table for living rooms, in lacquered wood and Crema Marfil marble, in classic baroque style of 100% Italian production. The structure of the Firenze by Orsitalia coffee table is very solid, made of real eco-compatible beech wood and hand-finished with water-based paints or with classic finishes (gold, silver, walnut, wenghé, Venetian lacquer) or all coloured for modern settings. 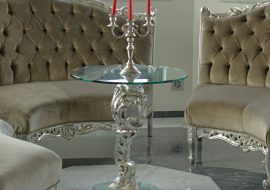 Orsitalia customizes the large square central table model Firenze also in shapes and sizes. 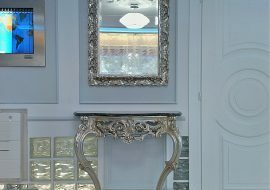 Orsi Italia proposes various types of marble and granite as support surfaces; transparent or coloured glass; decorated and smooth wooden tops. 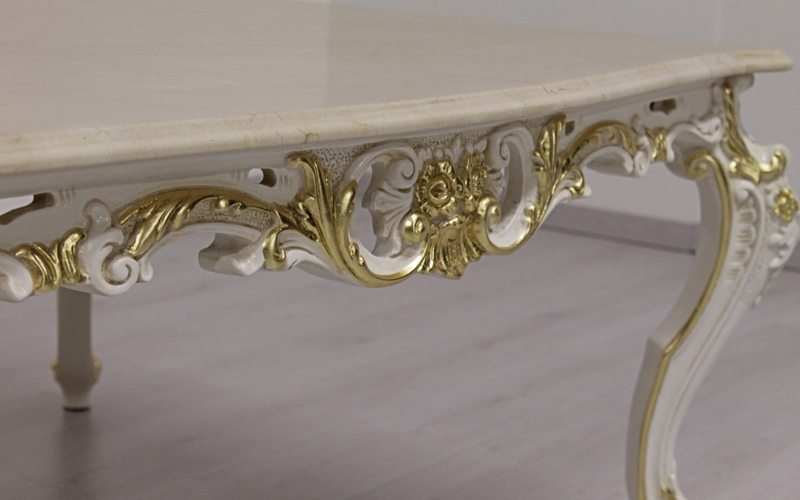 The production of the Orsitalia, 100% Italian, of the baroque Firenze custom-made table is characterized by high quality standards, typical of the best Italian art. 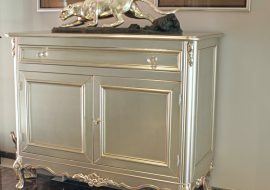 Orsitalia excels for the exclusive use of selected raw materials and a particular attention to every detail, to ensure Orsitalia’s classic furniture a long lasting perfect in time. 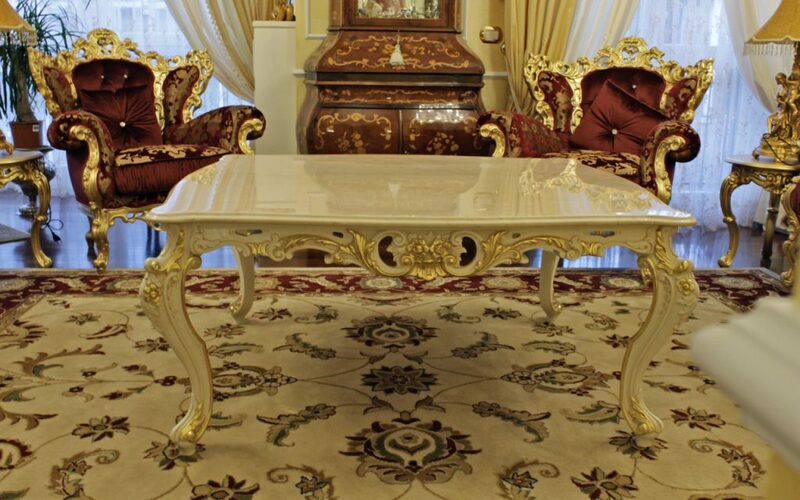 Possible size on request, compatibly with baroque ornamental motifs. 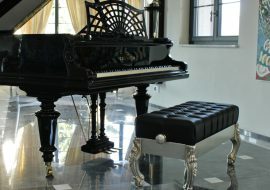 All ORISTALIA’s models are strong wood, handmade 100% in Italy, like in the best Italian artisan tradition. 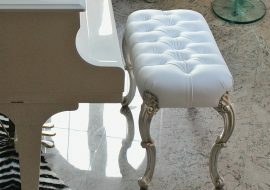 Stools, ottoman, benches and tables tailor-made to create elegant corners. Guaranted 100% Italian production and design. Fixed seat also for a very comfort seat. 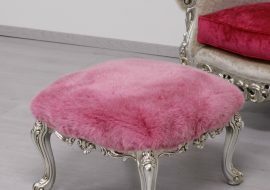 Possible to have it also tufted and colored. 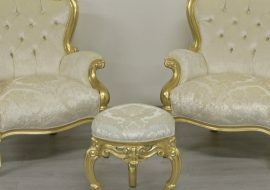 Upholsterd by hand using high quality foam padding in different density and spring suspension for longlasting pieces of contemporary baroque furniture. 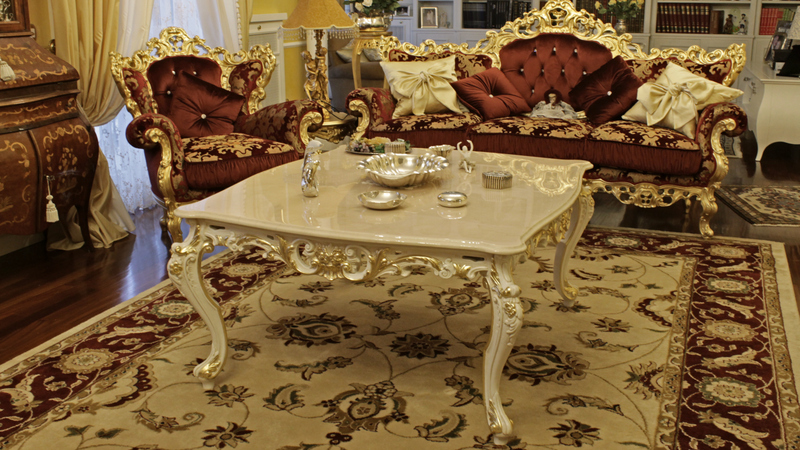 Do not expose the product directly and for longtime to sunlight and never to the rain, it is a product for Interior Designs.